A new report from TDG Research suggests that if you have a broadband connection but don’t own an Internet-connected television, you’re now part of the minority. A full 63 percent of all US broadband households now own such a device which is up from 53 percent a year ago although there’s more to the report than first meets the eye. Like I did, you might be thinking that an Internet-connected television is just another name for a Smart TV but you’d be wrong. The report, titled Benchmarking the Connected Consumer, defines a connected television as a Smart TV or a regular television connected to an Internet-enabled device like a Roku, Chromecast, connected Blu-ray player or even a game console. The report also found that in homes with a connected television, 42 percent also had a second connected set. It goes without saying that as net-connected televisions continue to penetrate the market, services like Netflix and Hulu will see increased subscribers. Conversely, this means that viewers will probably have less time to consume traditional broadcast television. 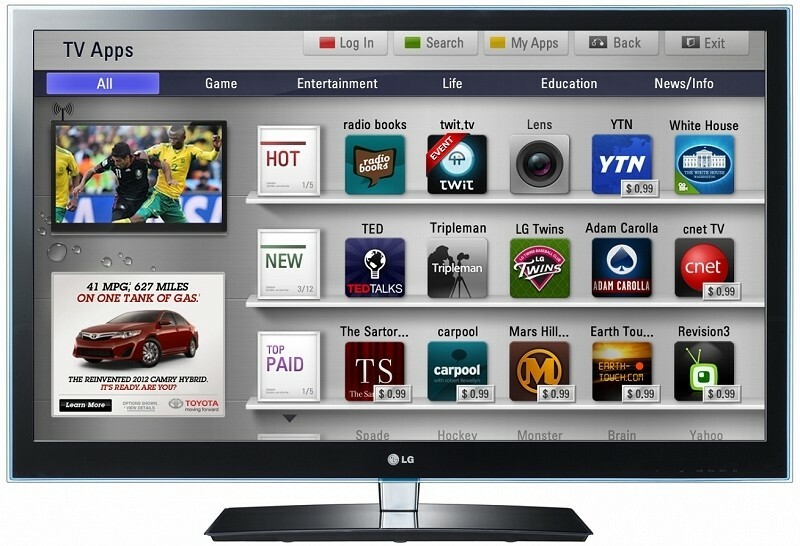 Do you have a web-connected television, either in the traditional sense of a Smart TV or TDG’s broader definition? I’ve yet to hop on the Smart TV train partially because I haven’t been in the market for a new TV in several years and also because I can access Netflix, Hulu, Amazon Prime and other services through a game console just as easily.